The Department of Homeland Security (DHS) today launched the DHS YouTube Channel and announced the redesign of DHS.gov—steps to enhance the Department’s web presence, increase transparency and provide accurate, up-to-date information to the public. DHS.gov was reorganized around Secretary Napolitano’s five major responsibilities—counterterrorism, border security, enforcement of immigration laws, disaster preparedness and response and Department unification—and redesigned based on user input and search analysis to help visitors find relevant and timely information. From the Publisher: The Supreme Court and federal courts have issued incredibly important precedent decisions over the past several years that have drastically changed the immigration law landscape. Immigration Consequences of Criminal Activity by Mary E. Kramer is your one volume resource for providing knowledgeable and intelligent representation. With its easy-to-read style, the third edition provides step-by-step analysis of the most cutting-edge issues in criminal immigration law. In addition, the author combines in depth research and analysis with everyday experience in court, CIS, and detention centers. 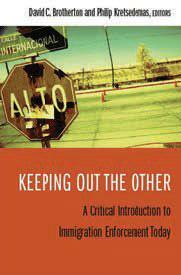 From the Publisher: America’s reputation for open immigration has always been accompanied by a desire to remove or discourage the migration of “undesirables.” […] Instead of finding effective ways of integrating newcomers into American society, the United States is focusing on making the process of citizenship more difficult, provoking major protests and unrest. From the Publisher: For two decades veteran photojournalist David Bacon has documented the connections between labor, migration, and the global economy. In Illegal People Bacon explores the human side of globalization, exposing the many ways it uproots people in Latin America and Asia, driving them to migrate. At the same time, U.S. immigration policy makes the labor of those displaced people a crime in the United States. Illegal People explains why our national policy produces even more displacement, more migration, more immigration raids, and a more divided, polarized society. In particular, he analyzes NAFTA’s corporate tilt as a cause of displacement and migration from Mexico and shows how criminalizing immigrant labor benefits employers. For example, Bacon explains that, pre- NAFTA, Oaxacan corn farmers received subsidies for their crops. State-owned CONASUPO markets turned the corn into tortillas and sold them, along with milk and other basic foodstuffs, at low, subsidized prices in cities. Post-NAFTA, several things happened: the Mexican government was forced to end its subsidies for corn, which meant that farmers couldn’t afford to produce it; the CONASUPO system was dissolved; and cheap U.S. corn flooded the Mexican market, driving the price of corn sharply down. Because Oaxacan farming families can’t sell enough corn to buy food and supplies, many thousands migrate every year, making the perilous journey over the border into the United States only to be labeled “illegal” and to find that working itself has become, for them, a crime. 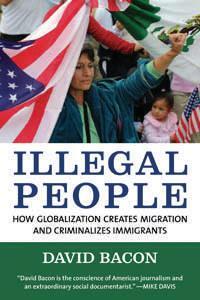 From the Publisher: This book examines the relationship between illegal migration and globalization. Under the pressures of globalizing forces, migration law is transformed into the last bastion of sovereignty. This explains the worldwide crackdown on extra-legal migration and informs the shape this crackdown is taking. It also means that migration law reflects key facets of globalization and addresses the central debates of globalization theory. 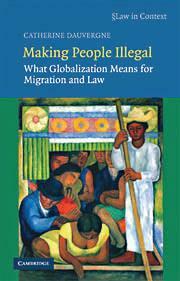 This book looks at various migration law settings, asserting that differing but related globalization effects are discernable at each location. The “core samples” interrogated in the book are drawn from refugee law, illegal labor migration, human trafficking, security issues in migration law, and citizenship law. Special attention is paid to the roles played by the European Union and the United States in setting the terms of global engagement. The book’s conclusion considers what the rule of law contributes to transformed migration law. From the Publisher: Punctuated by marches across the United States in the spring of 2006, immigrant rights has reemerged as a significant and highly visible political issue. Immigrant Rights in the Shadows of U.S. Citizenship brings prominent activists and scholars together to examine the emergence and significance of the contemporary immigrant rights movement. 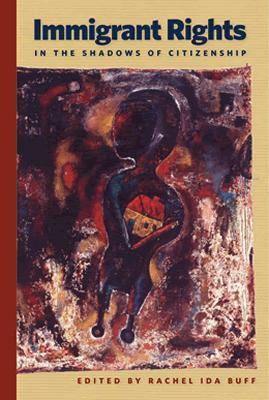 Contributors place the contemporary immigrant rights movement in historical and comparative contexts by looking at the ways immigrants and their allies have staked claims to rights in the past, and by examining movements based in different communities around the United States. Scholars explain the evolution of immigration policy, and analyze current conflicts around issues of immigrant rights; activists engaged in the current movement document the ways in which coalitions have been built among immigrants from different nations, and between immigrant and native born peoples. The essays examine the ways in which questions of immigrant rights engage broader issues of identity, including gender, race, and sexuality. MAPLight.org‘s mission is to “illuminate the connection between money and politics in unprecedented ways.” The organization aims to “give citizens the tools to find out for themselves how campaign contributions affect the specific issues they care about.” Watch this 6 mins. video to learn how it works. William H. Becker, William M. McClenahan, Jr.
Law Firm Legal Research Requirements for New Attorneys by Patrick Meyer, TJSL Associate Library Director & Adjunct Professor of Law is available on SSRN and has been downloaded 500+ times! Abstract: This article collects in one place the results of previously published and unpublished surveys as they pertain to law firm research requirements of new hires. The article also summarizes results from the author’s recent law firm legal research survey, which determined what research functions, and in what formats, law firms require new hires to be proficient. The article concludes that there is a need to integrate the teaching of online and print-based research resources for the following tasks: federal and state-specific legislative codes, secondary source materials, reporters, administrative codes and digests. There must also be a strong emphasis on the teaching of cost-effective research strategies. Two legal research services are in a head-to-head competition to win the loyalty of America’s lawyers. No, I am not talking about Westlaw and LexisNexis. This battle is between Casemaker and Fastcase. Each markets itself as a member benefit to state and local bar associations. Casemaker has the bigger share of the market, with 28 bars representing 475,000 lawyers. But Fastcase is fast on its heels, with 17 state bars and other smaller bars representing 380,000 subscribers. Read more.